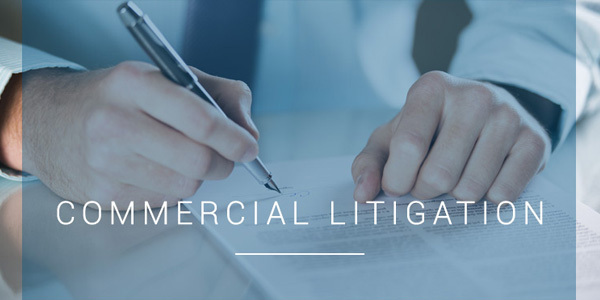 Commercial litigation is closely related to both business law and corporate law. When a lawsuit is threatened or filed, it becomes a litigation matter, as it may involve the skills of a trial lawyer. Our attorneys are experienced in handling a wide range of actual or threatened lawsuits involving disputes arising from contracts, leases, promissory notes, security interests, claims against buyers or sellers of goods or services, disputes over ownership and control of corporations, and many, many other areas. We represent individuals and companies of all types and sizes. Our lawyers are involved in both seeking to enforce and defending the rights of our clients.